About 97 percent of voters in Puerto Rico voted in favor of statehood in a nonbinding referendum in 2017. The U.S. federal government disregarded the vote, neglecting Puerto Ricans’ call for representation. This undermines any remaining claim of democracy our country can make. Christopher Columbus claimed the island now known as Puerto Rico for Spain in 1493. Four hundred years of colonization later, the U.S. acquired Puerto Rico in the Spanish-American War. In 1948, Puerto Rico approved its unincorporated territory status, but from 1948 onward, Puerto Rican politicians debated the territory’s status. Puerto Rico is neither an independent country nor a state. People in territories are U.S. citizens and pay federal taxes, like Social Security and Medicare fees, but not federal income tax. Despite this, Puerto Ricans cannot vote in federal elections and do not have voting representatives in Congress. As Schoolhouse Rock so eloquently taught us, this is taxation without representation — and it’s unfair. It is unacceptable for colonizers to trap Puerto Rico in statehood purgatory. 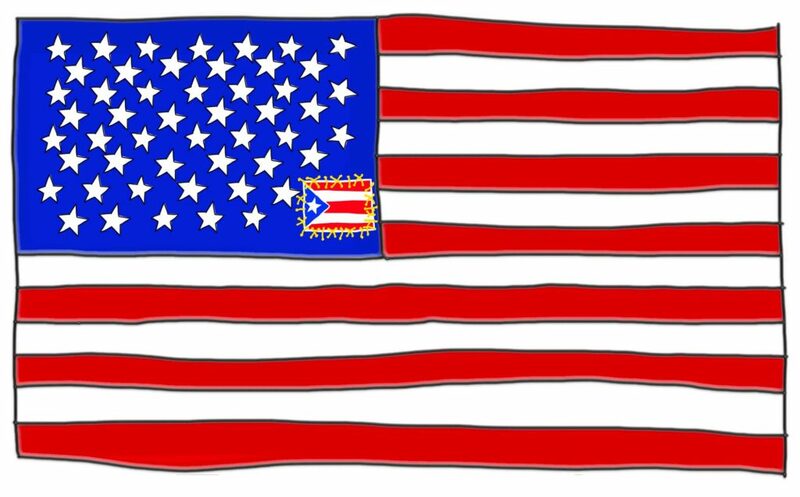 Puerto Ricans are denied the opportunity to vote on policies directly affecting them. Puerto Rico should be allowed to do whatever is best for its people, whether it is statehood or gaining its own independence. In votes over the past 71 years, Puerto Ricans showed an increase of support for statehood. Independence from the U.S. is an option, but it would likely result in weak statehood. Hurricane Maria devastated Puerto Rico and the U.S. failed to provide adequate aid. Granting the territory independence now could cause political upset due to the lack of secure and supported institutions. At this point, it’s the U.S.’s responsibility to provide aid and allow fair representation. On March 28, Rep. Darren Soto introduced legislation to the House of Representatives to grant Puerto Rico statehood. Earlier that month, 77 percent of Puerto Rican voters in Florida said they would support statehood for Puerto Rico if Congress offered it. Representation for Puerto Rico is even more dire when our federal government doesn’t have its needs in mind, and it has no power to change that for itself. The Trump administration failed to find time in its agenda to help Puerto Ricans after Hurricane Maria. In February, Trump asked advisers if there were ways to limit federal support to Puerto Rico, claiming the money should be going to the mainland United States. The government has ignored the issues affecting Puerto Rico for far too long due to its territory status. The Trump administration continues to prove itself to be indifferent and unresponsive to Puerto Rico. This cannot continue. Disaster relief should be a humanitarian issue, not a political one, and finally listening to what Puerto Rico needs should be a major priority. Call your representatives from your congressional district to voice your support for Rep. Darren Soto’s bill, H.R. 1965.